Housing Action Illinois is a statewide coalition formed to protect and expand the availability of quality, affordable housing throughout Illinois. We unite our members and allies to advance an equitable housing public policy agenda in Springfield and D.C. Together, our voice is stronger. We help housing counseling agencies and housing developers build their capacity and expand their resources. Together, our impact is greater. We facilitate the management and distribution of HUD Housing Counseling Funds to a regional network of 26 agencies. We manage and coordinate a network of capacity-building AmeriCorps VISTAs placed with organizations across the state, all working to fight poverty. 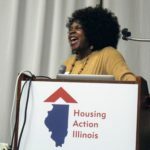 Housing Action Illinois is accepting proposals for our 2019 conference on October 24 & 25 in Bloomington, IL. Whether you’re interested in suggesting speakers, organizing a panel discussion, or developing a new, creative workshop, we want to hear your ideas. Bring your expertise and experience to the forefront of the discussion on housing and homelessness in Illinois and submit your proposal by April 30. 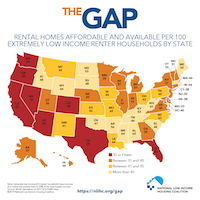 The Gap: A Shortage of Affordable Homes, a national report recently co-released in Illinois by the National Low Income Housing Coalition (NLIHC) and Housing Action Illinois, takes a look at the severe shortage of affordable rental homes available to financially-vulnerable families and individuals. We have the opportunity to reduce this shortage by investing $1 billion in affordable housing in the state’s capital budget. 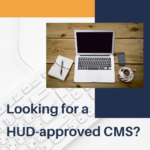 Housing Action Illinois has published an updated version of its Guide to HUD-approved Client Management Systems (CMSs) to aid agencies as they replace Home Counselor Online (HCO), the most commonly used CMS. The digital resource, which is available for free online, helps users assess their options through an at-a-glance comparison chart and detailed individual system profiles. Each year, Housing Action Illinois works on a broad range of issues aligned with our core mission of creating an Illinois where everyone has a good, affordable place to call home. This agenda outlines some of our priorities for the 2019 Illinois General Assembly session, as well as local and federal level work—measures that we believe will help families and communities across Illinois thrive.